70s So Retro Heart&Flower necklace. 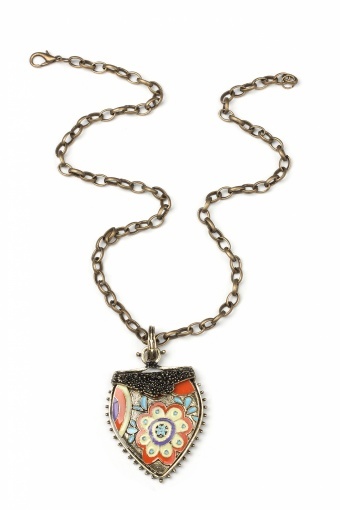 Very special this medium long necklace with a pretty designed pendant. 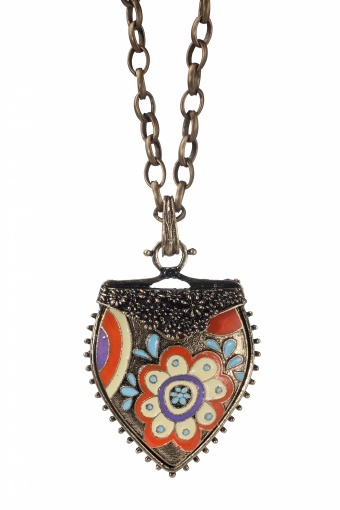 The flower decoration in the pendant is enamelled in various stylish colours. 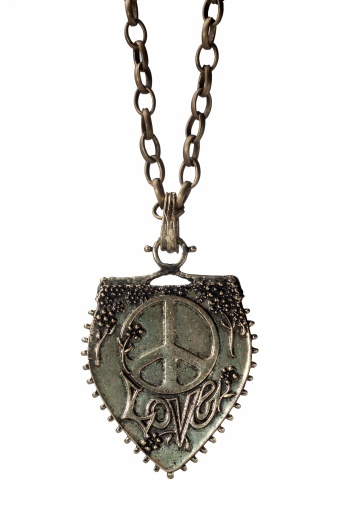 Even the back of the pendant is so pretty; decorated with little flowers, peace-sign and the word Love.